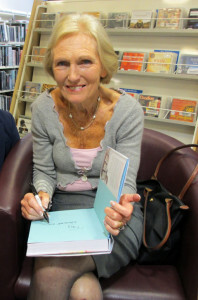 Mary Berry will be signing copies of her new book, Straw Berry, from 5 today in our newly painted book shop cafe. The hefty tome is the latest instalment in her 31 volume autobiography and deals with her teenage years between the wars when she and her friends lived in a barn and solved mysteries. 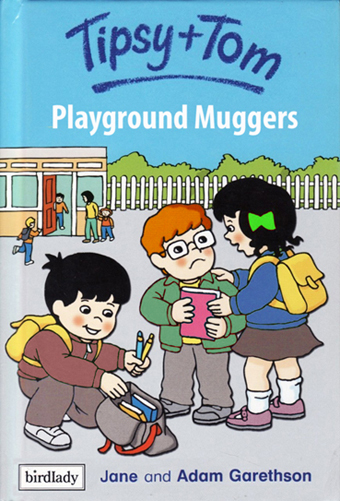 “My formative years were a lot like being in the Famous Five” her press release states “But without Timmy the dog and with me baking cakes to snare villains and murderers.” It’s sure to be an amazing page turner. Nita Glamorgan. Manageress. Iceystones Bookshop.